As the Solomon Islands lone European-based player Marcus Chan is shouldering a great deal of expectations as he makes his debut for his country of birth. 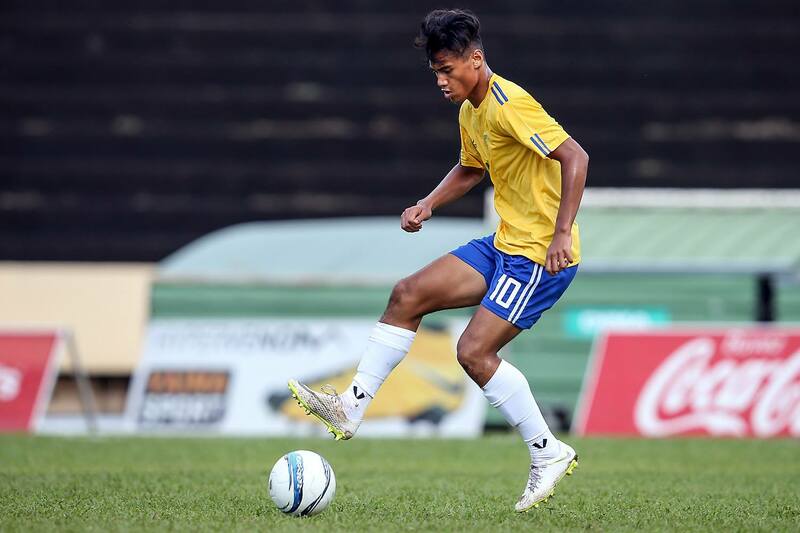 Although he received a call-up to join the U-17 campaign in 2017, study commitments prevented him from doing so. However when the opportunity arose this year to travel home from Spain, where he plays at the Valencia Crack’s football academy, he grabbed it with both hands. “My experience so far has been great, the first two games were not easy, but we managed to overcome it which is great for us,” Chan said. “I think the first game was my highlight of the tournament so far. It’s always that feeling, first game, putting on the jersey going out to the pitch and the national anthem playing for the first time. Chan’s inclusion in the squad is a breakthrough for his province, Renbel. The Polynesian province is more typically known for its rugby playing exports. Being one of the few players to come out of Renbel and join a national team, Chan knows his performances will be looked at not only by the nation as a whole, but the Renbel community in particular. “It’s been a blessing for me to wear the national jersey. I have given everything in the field and there have been ups and downs,” he added. “I know there are people back home hoping we get the results for them. The 17-year-old said the level of competition in Oceania caught him by surprise. “It’s different from what I have expected,” he said. If Solomon Islands can finish top of Group B they know they’ll face-off with hosts Tahiti in the final four. However Chan and co. are focusing on the initial task at hand – a final group match against Vanuatu. “Even though we have won our opening two games we still made lots of errors and mistakes so we need to sort it out a little bit before the next game to be ready for the semi-finals. “We know we already qualified but we want to push for the first spot and hopefully play Tahiti,” Chan insisted. The young lad stressed the spirit in the camp is high heading into the later stages of the competition. “I think the work ethic and discipline, we have been praying a lot as a team and the togetherness of the team is great”.